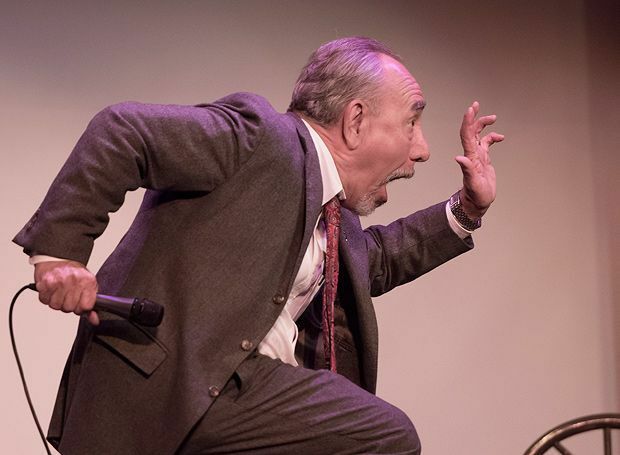 Few Fringe comics in town have the pedigree of Milwaukee’s Will Durst. At the age of 63 he has seen it all, with his Edinburgh CV noting that he was the first American comic to be nominated for the Perrier, way back in the mists of 1989. You can barely blame him for the choice of subject he brings to this year’s comedy table (the differences between modern society and the era he grew up in), but it does occasionally offer some less than original insights, albeit delivered with professional aplomb. Yes, everyone knows that once upon a time there were only a handful of TV channels to choose from and that public toilets have definitely become more complicated places to negotiate. No one will doubt such arguments given that we’ve heard them many times before. In more compelling passages, he shakes a metaphorical head at those who will come to regret their obsession with having multiple tattoos, while the health and safety culture of seatbelts, bicycle helmets and bottled water gets a clip round the ear. Thankfully, Durst has a veteran’s nous that an hour about the ‘good old days’ won’t quite wash here, so instead of being a verbal attack on everything that’s wrong with millennials, he focusses movingly on celebrating his own age-group. Gilded Balloon, 622 6552, until 31 Aug (not 18), 5.30pm, £10.50–£12.50 (£9.50–£11.50).